While the Turkish Bath isn’t the cultural staple that it once was, it’s an amazingly unique way to experience a historical piece of life in Turkey. For those planning to take the plunge (actually, there’s no ‘plunging’ as you’ll see below), here’s some of the back story to a centuries long tradition where there’s much more than meets the eye! Want to know more about what it’s like to visit a modern Turkish Bath? Find out just what goes on in a Turkish Bath here! Public baths have been a staple of city life in the region of Turkey for thousands of years. Any self-respecting Roman city would have a large and often beautiful bath at its heart. And while the Turkish Bath, or Hamam, comes from this ancient tradition the public bath houses you see today are distinctly Turkish in nature where Turkic cleanliness beliefs and Islamic washing practices blend with the Roman. 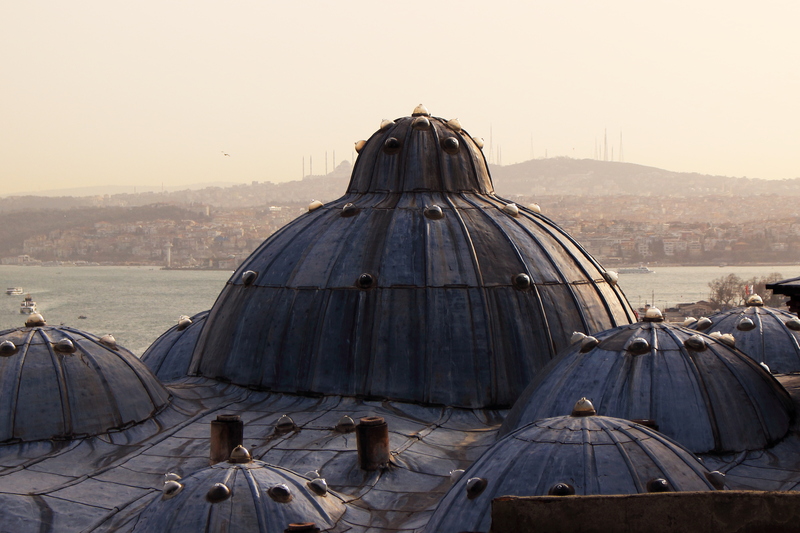 The word ‘hamam’ comes from the Arabic word meaning ‘to heat’ which is the main part of visiting a Turkish Bath. You sit in a hot room sweating and dousing yourself with water from basins. What you don’t do is bathe in the normal sense of soaking in water. While the Roman and Byzantine baths had pools, the Turkish bath does not. This is because standing water is seen as unclean and not fit for drinking or cleaning (the exception is a hotspring because the bubbles make sure the water keeps moving). So, instead of soaking, bathers douse themselves with water flowing from taps while sitting on heated marble benches. While Turkic peoples were building baths in this way before the Ottoman times (you can find the remains of the odd Seljuk bath incorporated in some caravanserais) the hamam really reached its zenith in the Ottoman period where the empire used its immense resources to build thousands of baths for its subjects. This was not simply for the sake of avoiding stinky subjects but rather comes from notions of Islamic piety and cleanliness. While visiting a Turkish Bath a while back we spoke with the manager and he told us this story that does a good job at explaining both the beliefs behind the hamam and why they became so popular in the Ottoman period. One day the sultan, who has having a new mosque built, went to go check on the progress. While he was there he noticed one of the laborers was walking around looking busy but not actually doing anything in particular. When the sultan called him over and confronted him the labourer confessed that in the night he had a nocturnal emission which made him unclean and unable to perform religious actions such as touching a Qur’an or praying. He explained that he did not have a chance to bathe before beginning work that day and as the building was a mosque it would be wrong of him to defile it by touching the stones that would become a building set apart for Allah. The sultan, struck both by the plight of the man and his piety, commanded that work on the mosque be delayed and instead a hamam be built. And so, in the Ottoman period it was common for a Turkish Bath to be built as a part of mosque complexes to allow worshipers to be clean. While I have no idea if this story is true (I’ve tried verifying it and found nothing so far) it certainly illustrates the importance of the bath and its connection to Islam. In Islam there are two types of ritual cleansing; the common one where hands, face, and feet are washed before prayers, and another more thorough type where the entire body is washed. 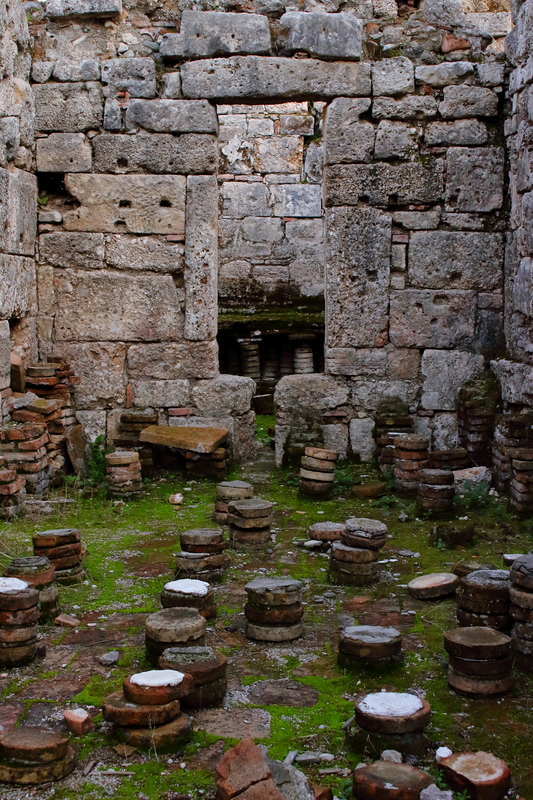 The hamam provided a place for the second in a time when automated water heaters and indoor plumbing were rare. These bath houses were not simply utilitarian though, as time went by they became as much a part of social life as the famed Turkish Coffee houses. The Sultans are even said to have paid the people who worked in the baths as spies to gather information on who was meeting who and what they were talking about. 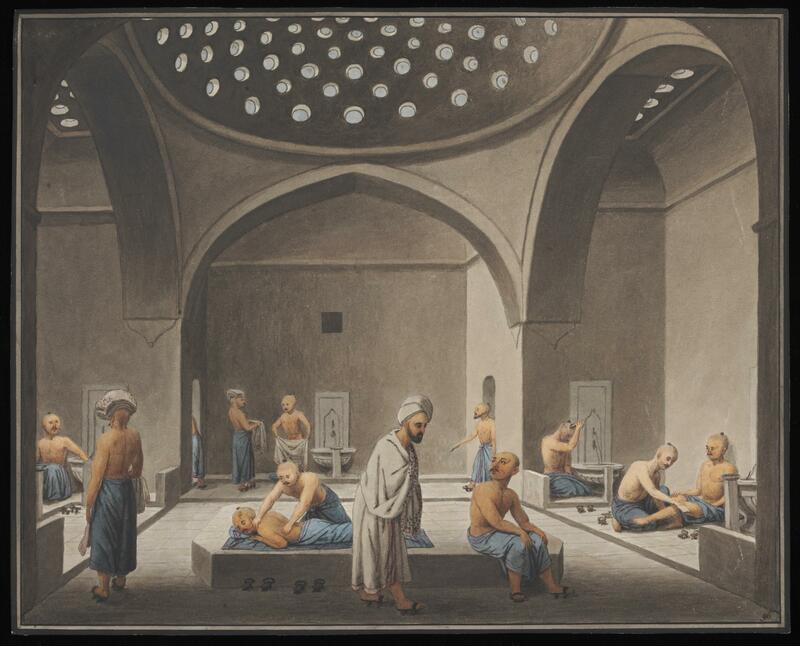 The idea of the Turkish Bath as a social centre was especially true for women who were otherwise limited in ways to socialize. For women there were special gatherings to celebrate the birth of a child, a woman’s engagement, and if a woman was denied her allowance to visit a hamam it was grounds for divorce! Modernization, central heating, plumbing, and household baths have nearly wiped out the practice of visiting the public bath. Very few Turks go anymore, and most seem to see it as something for tourists or poor people. So while visiting a Turkish bath today may not have anything to do with ‘experiencing the local culture’ it’s a great way to experience the past and keep this unique vestige of Ottoman life from disappearing. Checking out either a grand touristic hamam or some small run-down bath is a great experience that we really cannot recommend enough!